You are currently browsing articles tagged Geneva. Our post today comes from guest author, Rev. David W. Hall, excerpted from chapter 2 of his book, The Genevan Reformation and the American Founding. (Lanham, MD: Lexington Books, 2003). That Zwingli was a key figure in the Protestant Reformation is undeniable, and so it seems appropriate to include this account of him here today on the anniversary of his death. William Farel was the pioneer of the Reformation in Geneva, but closer to Germany another fiery minister preceded him by a few years. Huldrych Zwingli (b. 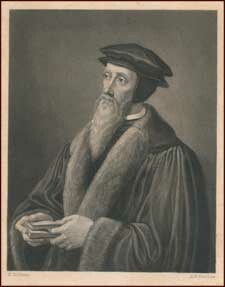 1484), a Swiss reformer immediately prior to Calvin, also recognized that resistance was legitimate if a civil ruler ordered the squelching of true religion (as in Acts 4-5). However, he qualified that such resistance should only occur with the support of the large majority and without murder or war. Nonetheless, by the Peasants’ War (1525), Protestant extremists scandalized the movement with their sectarian rebellion against the King of Germany. The Peasants’ War slowed the momentum of Protestant support for resistance, and itself was an instance of experience shaping a theology of the state. Just prior to Calvin’s surge, Zwingli, a contemporary of Luther, began his work in Zurich. Zwingli studied at universities in Basle, Bern, and Vienna. In 1506, he was selected to be the parish priest in confederated Glarus. Whether he was “an out-and-out democrat” or not, it is certainly the case that he tried to reform all of society from the church outward. He served as a chaplain in the fateful 1515 Battle at Marignano, a turning point for the Swiss psyche, and later accompanied Protestant troops in skirmishes against Catholics, dying a courageous death in a 1531 battle. Despite his unfortunate demise, later American clergymen could draw on his example and would accompany Colonial militias into battle against the British. Zwingli first served as a pastor in idyllic Einsiedeln (still the home of one of the most ornate monasteries in the world) for two years (1516-1518), prior to beginning his thundering ministry at Zurich’s Grossmunster church on January 1, 1519, making him one of the earliest declared Protestants in the world. Throughout his tenure, Zwingli labored for a political practice that conformed both religion and politics to the precepts of the Bible. Although he never held civil office, he frequently advised local magistrates and served on numerous commissions to resolve diplomatic or political matters. However, not all Swiss citizens agreed with him. While his colleague Vadianus convinced St. Gallen of the Protestant cause, and while Bern, Basle, and Zurich created a Protestant alliance, interestingly the Forest states (the three original mountain cantons) preserved their allegiance to Catholicism. An armed conflict between the two alliances was only narrowly averted by the Peace of Cappel, which legitimized the local choice of religion for each Swiss canton from that time on. Some historians have suggested that Zwingli changed his views over his life. Recent studies, however, have defended the consistency of his thought over time. Robert Walton vindicates Zwingli from the onerous charge of theocrat as it is used in modern times. Certainly, Zwingli expected cooperation between the two distinct jurisdictions of church and state. That cooperation, much like the practice of colonial America, however, is different from assigning the care of both church and state to the same officers. Rather than confusing the terminology, the more helpful way to understand the Swiss Reformer’s position is to ask, as Robert Walton does: What place did Zwingli assign to the magistrate and to the clergy in order to realize the rule of God? Instead of attempting to combine the spheres of government, Zwingli simply submitted, as Calvin would later, both sacred and secular jurisdictions to transcendental norms. Certainly Zwingli and Calvin desired the rule of God over government. That is altogether different, though, from confusing the rule of God with the acts of certain politicians. A separation of legitimate jurisdictions (though not an immunization of the state from religion) is as apparent in these Swiss Reformers as it is in Colonial American pastors a century later. They did not endeavor to submit the city government to the church and its officers. If anything, Zwingli sought to deprive the clergy of the secular authority and wealth it had gained since the end of the eleventh century, because he believed that these secular concerns had diverted the clergy from its God-given function, the preaching of the Gospel. The clergy’s role was to give God’s counsel, lest the city governors lacked the best wisdom. Earlier attempts to castigate Zwingli as a theocrat, who was bent on the clergy ruling political measures dictatorially, stand corrected in view of recent scholarship. Zwingli hoped to renew the church from within, and subsequently to have the church reform society. Of the inherent overflow of spirituality into ethics, Zwingli claimed, “Christianity has always served the public justice most powerfully.” In later correspondence, Zwingli would contrast the effect of the spread of biblical truths with those of secular reason, boasting of Zurich as the leading Christian municipality in adapting its laws and political officials to the Christian faith. Zurich’s ethical overflow was noted as follows: “each desires to anticipate the other with kindness, to oblige with gentleness, to share the labor of the other, to lighten his burden, for each cares for all as brothers; blasphemy is abominated, piety is esteemed and is increased among all.” These Swiss Reformers believed that a view of life which included God’s standards would result in humanitarian action by private citizens. The chief calling of the clergy was not to rule the city council but to reform the conscience. Prior to Zwingli’s arrival at Zurich, the city was governed by a Small Council of 26 and a Great Council of 212, similar to the form eventually adopted in Geneva. The Zurich councils were involved in many areas of life, and Christian magistrates were to seek the common good. The magistrates were to maintain the faith, and keep it from reverting to Catholic patterns. As early as 1450, Zurich’s counterpart, Basle, stated its purpose similarly: “Above all, the government of each city is to be established for this: to increase and to consolidate the honor of God and to repulse all evil and especially gross sin and misdeed, according to the regulation of the Holy Christian World.” With similar words, most Swiss cantons that embraced Protestantism should not be tarred and feathered with the theocrat slur, merely for the customary support of religion, especially if the church was to be protected during its reformation. Zwingli’s preaching was magnetic, exhibited a strong patriotism, and addressed major problems besetting the entire Swiss Confederacy. With up to a third of the city attending his preaching, his popularity discouraged civil officers from opposing his ideas. Such moral suasion would prove more lasting, for Zwingli and Calvin, than any theocratic imposition. Like Calvin, his ideas would have international impact. As an outworking of the Christian faith, Zwingli also called for the end of mercenary excursions, a longstanding tradition associated with the highly skilled native military. Even though the termination of mercenary service might leave the Swiss vulnerable to the French, as well as introduce negative economic impact (higher unemployment and less income in some cantons), Zwingli led his city to lessen its warring ways—a quite radical step for the time. In his 1522 Godly Admonition to the Oldest Confederates at Schwyz, the Zurich reformer desired to persuade the citizens of Schwyz to abandon mercenary tactics and replace those with the ethics of Christ. In that tract, Zwingli hinted that the early Swiss confederates had a unique covenantal relationship with God, much like OT Israel. Sounding like later Puritan American preachers, he indicated that recent defeats such as Marignano were providential indicators of God’s curse. In the process, he rebuked greed, bribery, violence, sloth, and wrongful war. Robert Walton summarizes Zwingli’s tenets: “The cantons of the Confederacy stand in a covenant relationship with God; they are the Israel of the present. Political stability and national freedom depend upon the proper obedience to the Lord.” In a May 1522 response that foreshadowed the historic Swiss neutrality, the canton of Schwyz agreed to avoid foreign alliances for the next quarter century. However, supporters of the mercenary system reversed that agreement in August. In any event, at this early stage it is evident that Zwingli sought social change by preaching and writing, not primarily by political coercion. On January 29, 1523, Switzerland, and much of the West through her, entered a new age, thanks to Zwingli’s leadership. In a day when elections were rarities, over 600 people gathered to hear a dispute between Zwingli and a Catholic debater. This meeting (the first of many) introduced a virtually new style of decision making: citizens would have free assembly and free speech, and then they would freely choose which course to pursue. What began as a referendum on religion, i. e., whether to be a Protestant or a Catholic establishment, paved the way for many future civic choices. Once begun, there was no turning back and the West has a fiery preacher to thank in part. Robert Walton has correctly observed a delicate balance of power in Zwingli’s thought. He writes: “The division of power between the magistrate and the pastor was based upon his doctrine of divine and human righteousness. The magistrate exercised all secular power and had the right to direct the external affairs of the church. The Christian magistrate . . . made possible the preaching of the Gospel by the pastor. The knowledge of the Gospel that the pastor proclaimed prevented the ruler from becoming a tyrant . . .” Walton has clarified that the Swiss reformers were not strictly theocrats, but believed in each God-ordained sphere of government performing its own duty—and not usurping the jurisdiction of the other. Zwingli died in the second battle of Cappel on this day, October 9, in 1531, only 47 years old. He was initially injured while attending a wounded soldier, later pummeled by stones, and finally stabbed with a spear. Upon learning that the flamboyant patriot was wounded, the opposing forces rallied to kill him, only after he was given an opportunity to recant of his Protestantism, which he refused with these words: “They may kill the body, but they cannot kill the soul.” The same battle took the lives of 500 Zurichers, several pastors, and 10% of Zurich’s ruling Great Council of 200. Four centuries after his birth, Zwingli’s influence was honored with a bronze statue prominently displayed at the foot of the Wasserkirche in Zurich. The statue, designed by a Roman Catholic sculptor, commemorated Zwingli with Bible in one hand and a sword in the other. As late as a century ago, a full century after the American Revolution, Zwingli was still revered by his countrymen as a force for education, democracy, and courage. His bold opposition to tyranny was a lasting icon for both American and Swiss patriots, until the rise of an age that thought itself too enlightened to be associated with a brave clergyman who changed the West. In the spring of 1999, the statue was removed from its prominent position, long a tourist site, under a program of “cleansing.” In the process, vestiges of the historical impact of Protestant Christianity on a nation, a continent, and a hemisphere were eradicated. Walton notes that although Zwingli pursued goals informed by the Bible, he did not seek them by theocratic measures. Both minister and magistrate were to do their own jobs, and the clergy were not to “interfere with the Christian magistrate’s performance of the duties that God had assigned him.” He is also correct that Zwingli only initiated certain trends. The growth of his ideas, however, was stunted both by military conflict and by counter-reactions. It would remain for William Farel and Calvin to revive reform measures in the French speaking part of the Confederacy a decade later. There is no doubt that Geneva Switzerland in the time of John Calvin was the perfect asylum for persecuted Presbyterians from all over the world. They would arrive there whenever times in their own country were harsh and forbidding in the practice of the Reformed faith and life. In the mid-sixteenth century, that state was certainly true of Scotland and England with the crowning of Mary Tudor to the throne. Immediately, approximately 300 believers were sent to the fiery stake. 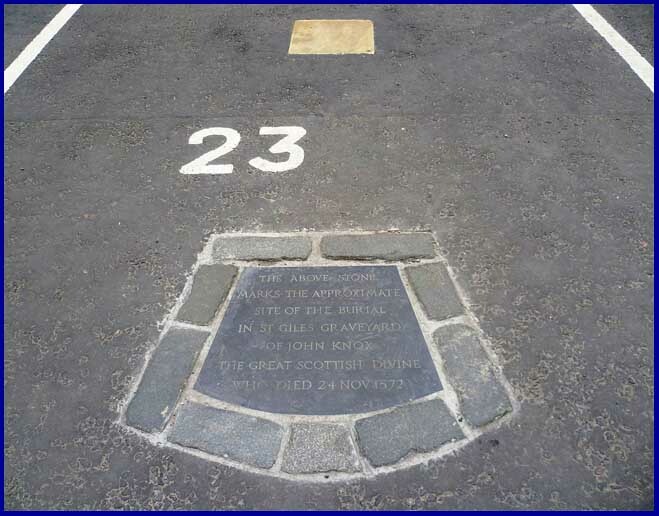 Countless fled to other countries, including John Knox and his family. And Geneva was his destination, arriving there on this day, September 13, 1556, with his wife Marjorie. On the following month, the church of English exiles called John Knox to be a co-pastor of that church. During this period Knox enjoyed, as M’Crie writes, one of the quietest times in his life and ministry. He would preach three sermons a week to his church family of 100 English exiles. often about two hours plus in length. He found time to work on the Reformed footnotes of the famous Geneva Bible, which were then being introduced to the Reformed world by the son-in-law of John Calvin. Knox wrote a lengthy work on predestination, as well as a political one on the female but wicked rulers of his home country. Family happiness was expanded to include two sons from his wife, named Nathaniel and Eleazar. Both died without issue however in later years. But his time there was blessed by simply being present in the town and enjoying the fellowship of countless Reformed brethren, including John Calvin. Writing to a friend once, he said “In my heart, I could have wished, yea, and cannot cease to wish, that it might please God to guide and conduct yourself to this place, where, I neither fear nor shame to say, is the most perfect school of Christ that ever was in the earth since the days of the apostles. In other places I confess Christ to be truly preached; but manners and religions to be so sincerely reformed, I have not yet seen in any other place besides.” What a statement! 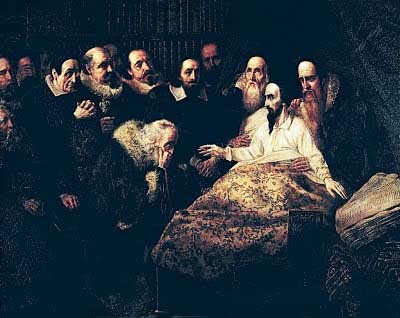 And while all the above was true, that is, “the enjoyment of personal accommodations, the pleasures of literary society, and the endearments of domestic happiness,” as Thomas M’Crie puts it in his book, The Life of John Knox, still Knox couldn’t forget his own dear congregation languishing in Scotland. 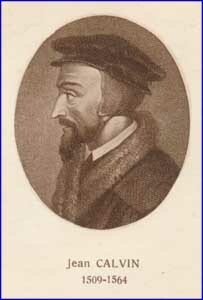 And at the earliest opportunity, and upon receiving advice from the brethren there in Geneva, including that of John Calvin, Knox responded to the clarion call to return to the Scottish fray in May 1559. It was but a year when the First Reformation, as it has been called, came to Scotland. Every pastor needs a change of pace from the demands of an active ministry. We call it a vacation, yet often it is filled with work. Sometimes intrusions can come by way of unthinking church members who somehow find out the when and where of the vacationing pastor’s family. It would seem the duties of ministry are never laid down. Yet the importance of a family vacation, a time when the pastor can re-connect with family members, is so very important. So whatever your status, whether a church officer or simply a member of the church, do what you can to press upon your pastor the importance of a family vacation. Don’t let your pastor be a workaholic! Better yet, consider giving him a Sabbatical when he can thoroughly recharge his spiritual batteries from the pressing work of the ministry. He will come back refreshed beyond words to take up again the challenges of ministering to the souls of men, women, and children. In Dr. Miller’s sermon, the first two major points of his sermon are much more in keeping with what we might expect. 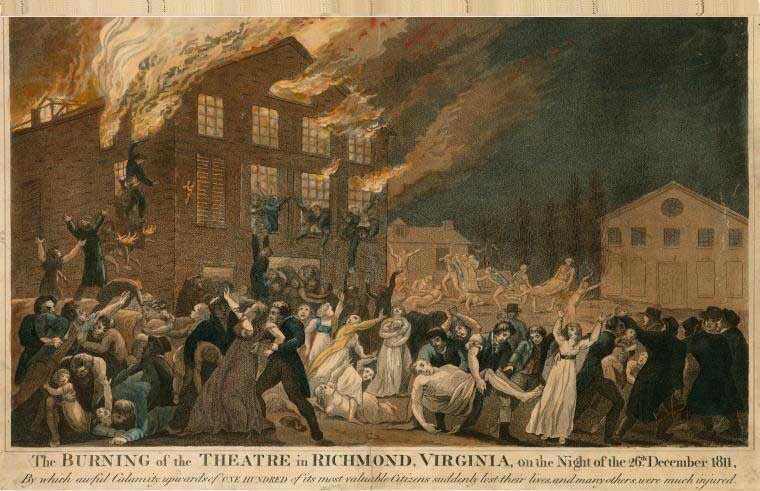 However, in his third division of the sermon—the moral application—Miller uses the occasion to speak out against the theatre as an institution. In this, he echoed a common sentiment among Christians of his day, who generally opposed the theatre and the profession of acting. For those with the time and interest to read, the text of Dr. Miller’s sermon follows. While, therefore, we deplore the heart-rending calamity which had fallen upon a neighboring city, let us not forget, or place out of sight, the hand of God in the awful scene. It was not the work of chance. A righteous God has done it. His breath kindled the devouring flame. Not a spark of the raging element rose or fell without his providential guidance: not a victim sunk under its destroying power, without the discriminating and immediate hand of sovereign Wisdom. He ordered and controlled all the circumstances attending the melancholy scene. He doth not, indeed afflict willingly, nor grieve the children of men. But still affliction cometh not forth of the dust, neither doth trouble spring out of the ground. What! shall we receive good at the hand of God, and shall we not receive evil also? The Lord gave, and the Lord hath taken away; blessed be the name of the Lord!